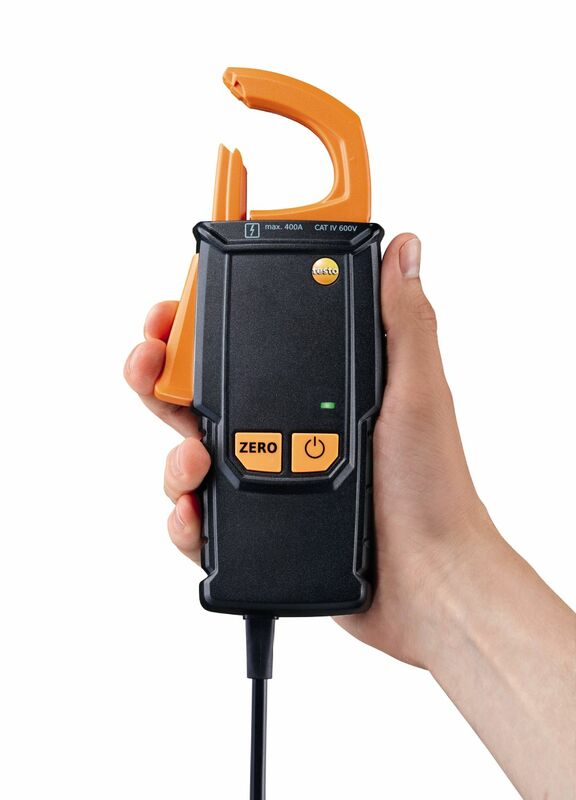 You can easily manage even in tight spots with this clamp meter adapter! The movable pincer arm can be fully retracted, so that you can for instance grab tightly packed cables in switching cabinets as if you were using a hook. The clamp meter adapter for non-contact current measurement makes direct / alternating current measurement up to 400 A AC/DC possible. 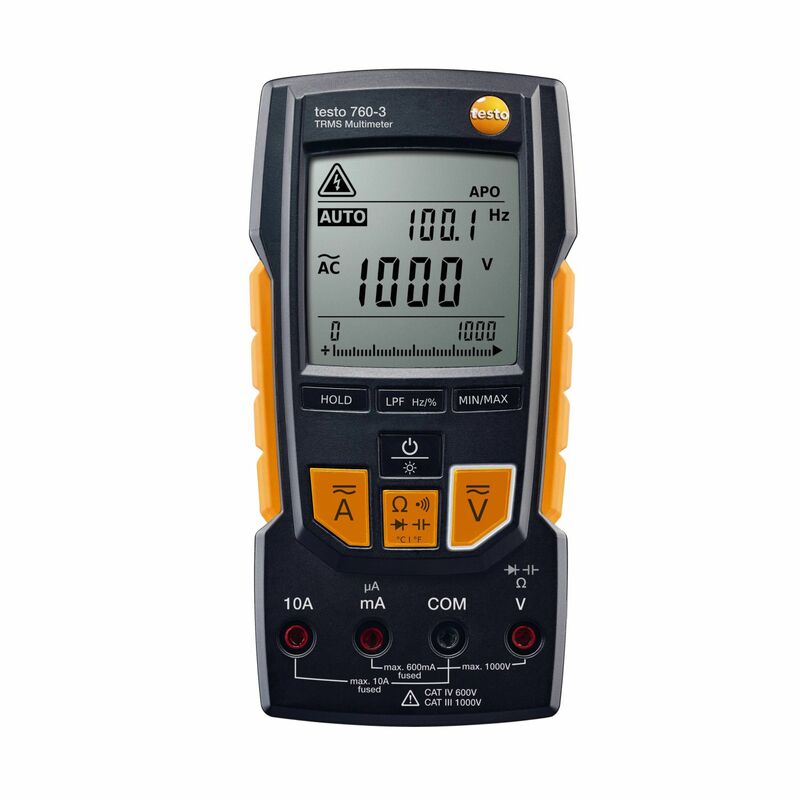 You can attach the clamp meter adapter to a suitable digital multimeter made by Testo or to other makes of digital multimeter which have a resolution in the mV range. Clamp meter adapter for non-contact current measurement, including three AAA batteries.